Hey peeps!! 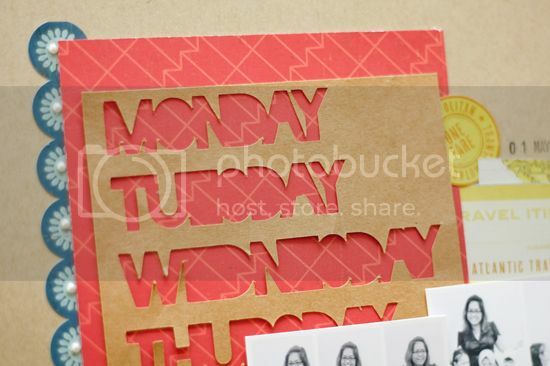 Are you enjoying the National Scrapbooking Day? I know it is overwhelmed with the crops and beautiful RAKs that are being offered everywhere. If you still wanna play along, you should drop by at the NOOK forum. We are having a crop too & fret not, there is still time! The GRAND prize winner is a 3 months subscription to the Nook kit. Isn't that a yummy deal?! Today, I have just posted my challenge over HERE. All you need to create is a layout with Black & White photo(s) ONLY. Easy peasy rite? Hope you can play along! Here's a layout I created using the Nook's April kit. 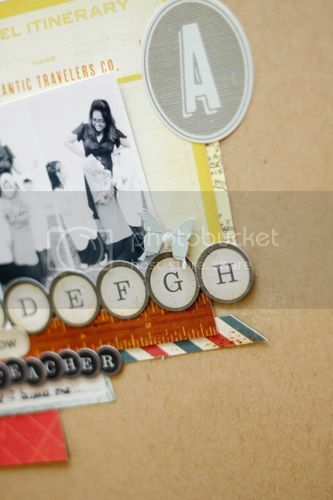 Love that the Crate Paper : Story Teller collection is perfect for school / teacher theme too! Love this Cameo design cut! Perfect for my layout! Hope you will come by to play along with us! WOW!! Love this the most! Simple yet very eye catching! Just the way I love it!!! LOVE it, Jessy! The different vintage typewriter keys; the cut out days of the week; the multiple pictures! Fabulous! Yayyyyyyyyy!! You're back!!! Loveeeeeeee this!! I love love love the negative title and loveeeeeeeeeeeee the colors!